Service: TUESDAY, February 5, 2019: A Mass of Christian Burial will be celebrated at 9 am at St. Benedict Church. Rita A. Hardy was a childhood piano prodigy who played a solo on stage at Kleinhans when she was just 4 years old, said her son, Michael (Hardy) DeMarchi. She majored in music while attending Fredonia State Teachers College, but after a few years, her son said, "she realized she needed something that was going to pay the bills." Mrs. Hardy transferred to Buffalo State College and chose to study education, one of the few options for women at the time. The choice agreed with her. 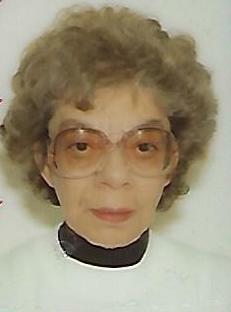 Mrs. Hardy spent 33 years with the Buffalo Board of Education, implementing innovative reading techniques and retiring as principal of the Early Childhood Center, School 78. Mrs. Hardy, a resident of Bristol Village in Clarence Center, died Feb. 1 in Erie County Medical Center after a short period of ill health. She was 87. She was born Jan. 3, 1932, the only child of Filomena Parlato and Dante DeMarchi, an engineer. As a girl, she studied piano with R. Leon Trick and at the Wurlitzer School of Music. When "radio crooner" Rudy Vallee made an impromptu appearance at a Wurlitzer student concert on Oct. 4, 1938, then 6-year-old Rita "was prepared to meet a celebrity in accepted fashion," reported The Buffalo Evening News. The piano student offered her autograph book and became "the only person to receive the radio star's signature," the newspaper reported. Mrs. Hardy graduated in 1950 from Lafayette High School, where she earned the Chromatic Club Award and an Alumni Scholarship. In 1950, she played Dohnanyi Rhapsody in C Major as the finale of the Buffalo Philharmonic Orchestra's Pops Concert. "All went well, with Miss DeMarchi gathering warm applause for her work," a Courier Express reviewer wrote. After getting her bachelor's degree in education from Buffalo State, Mrs. Hardy returned to college to earn a master's degree in science. Her first job with the Buffalo public schools was as a teacher of grades five and six. She then began to work with staff to implement the best practices in teaching reading to children in the primary grades. This led to the Continuous Progress Education Program, which was used in more than 50 elementary school classrooms. Mrs. Hardy was next appointed supervisor of elementary education, and in that job, worked for 12 years in programming and curriculum development in reading, math and Title 1, a federal program that provides funds to schools with a high level of low-income students. In 1984, she was appointed principal of the Early Childhood Center, School 78, on Olympic Avenue.Three years later, the school demonstrated such progress that it was recognized by the state Education Department for its significant academic achievements. Mrs. Hardy also taught adults in the city's GED program and was a director of the Wider Horizons Program, a community-based tutoring training program for inner-city young adults. When she retired after 33 years, Mrs. Hardy enjoyed volunteer work. For nine years, she spent a half-day every week reading for Buffalo's Radio Reading program. For another half-day, she worked as a dispatcher for Rural Transit Service in the Southtowns, which provides transportation to appointments for seniors and people with mobility challenges. For 16 years, Mrs. Hardy was active in the Village Ringers handbell choir, which performed throughout Western New York and on tour in Germany. "She was very strong, very independent, and lived alone almost all of her life," said her son. However, he said, "She didn't live a life of isolation. She was very interested in culture and was involved in lots of different things. She had wide circles of friends and colleagues." Throughout her life, her son said, Mrs. Hardy was "organized and prepared, forward-thinking and visionary. "As her son, I wasn't always aware of all she was doing," DeMarchi said. "But she did a phenomenal job, through her own self-sacrifice, doing everything, providing, protecting, teaching and guiding." A Mass of Christian Burial was celebrated Tuesday in St. Benedict Catholic Church in Amherst.